Born and raised in Venezuela, Seemi is the child of Pakistani immigrants who moved her family of six to Chicago in the late 1990s. In 2010, she graduated from Loyola University Chicago with a B.A. in political science and Spanish. Since then, she has worked in community development, program management, conflict mediation, and financial technology. All the while, Seemi has fostered a strong interest in serving Chicago’s immigrant communities. 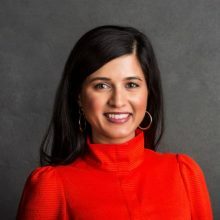 In 2016, she joined the Chicago’s Mayor’s Office as Director of the Office of New Americans where she works on public policy and programs directly impacting the city’s immigrant and refugee populations.